McIntosh, Andrew. "Stephen Harper". The Canadian Encyclopedia, 04 June 2018, Historica Canada. 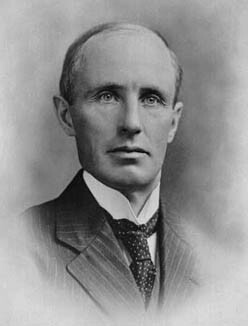 https://www.thecanadianencyclopedia.ca/en/article/stephen-joseph-harper. Accessed 19 April 2019. 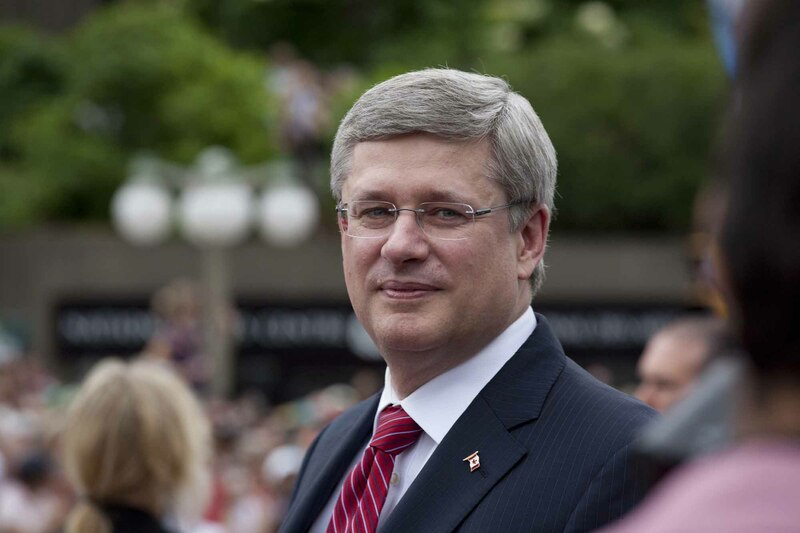 Stephen Harper grew up in the Toronto neighbourhood of Leaside, and later the suburb of Etobicoke, the oldest of three sons of Margaret and Joe Harper, an accountant. Stephen attended Richview Collegiate Institute, where he was a member of the school’s Liberal club and competed on Reach for the Top. After graduating in 1978, he enrolled at the University of Toronto’s Trinity College, but dropped out after two months and moved to Alberta, where he worked as a mailroom clerk and in other positions for Imperial Oil. Three years later he enrolled at the University of Calgary, where he earned a bachelor’s and master’s degrees in economics, in 1985 and 1991 respectively. Harper is a hockey aficionado and member of the Society of International Hockey Research. His non-fiction book, A Great Game: The Forgotten Leafs and the Rise of Professional Hockey (Simon & Schuster, 2013), documents the early decades of professional hockey in North America. He also plays piano in a rock ‘n’ roll band, which has made occasional public appearances, mainly at Conservative Party events. In 1993 he married Laureen Teskey, an Alberta native (born 1963) with a background in graphic arts and photography, and a history of community engagement with ​humane societies and child-based initiatives. They have two children, Benjamin (born 1996) and Rachel (born 1999). The Right Honourable Stephen Harper, Prime Minister of Canada and leader of the Conservative Party of Canada (courtesy Conservative Party of Canada). Although he was initially a Liberal supporter, Harper came over time to oppose Liberal actions and policies. In 1981 he went to work for Jim Hawkes, a Progressive Conservative (PC) Member of Parliament (MP) from Calgary. After Prime Minister Brian Mulroney's victory in 1984, Harper spent a year working for Hawkes in Ottawa, but left, disillusioned with the Mulroney Tories. In 1988, Harper ran for a seat in the House of Commons against his former boss Jim Hawkes, but lost by a wide margin. He then served as legislative assistant and policy advisor to Deborah Grey, Reform’s first MP, while remaining Reform policy chief. In the 1993 election, Harper defeated Hawkes and became the MP for Calgary West. As the Reform Party’s critic for finance and national unity, he gained attention for his sharp intellect, analytical policy skills and bilingualism. However, in 1997, during only his fourth year as an MP (short of qualifying for a parliamentary pension) he stepped down from politics. Soon afterwards, he became head of the National Citizens Coalition (NCC), a conservative think tank and public advocacy group. During Harper’s four years at the NCC, the Reform Party became the Official Opposition in Ottawa and rebranded itself as the Canadian Alliance. Meanwhile, Harper remained the subject of frequent speculation as to a potential return to politics. In spring of 2002, he was elected leader of the Canadian Alliance, beating incumbent leader Stockwell Day on the first ballot. He returned to the House of Commons in a by-election, becoming MP for Manning’s former riding of Calgary Southwest. Since 1993, the Liberals had won a series of majority governments, in part due to the divided political right — the Alliance and the tattered remnants of the Progressive Conservatives. As Alliance leader, Harper set out to mend fences, and in 2003 he convinced PC leader Peter MacKay to form a united Conservative Party. Harper became leader of the new Conservatives, which won 99 seats and reduced the Liberals to a minority government in the 2004 election. They also gained an important foothold in Ontario, an accomplishment that had eluded the Reform and Alliance parties. As Leader of the Official Opposition, Harper initially faced doubts as to whether he could win over Canadians in sufficient numbers to become prime minister. These concerns focused on the questionable mass appeal of his policy wonk persona, his ability to maintain the unity of the disparate elements of the Conservative Party, and questions as to whether some party policies were too right-wing for many voters. But Harper successfully countered those concerns, building a coalition inside the party that included western Reformers, traditional “Red Tories,” and most important for electoral purposes, the Conservative flag bearers of Ontario's “common sense revolution,” whose legions of middle-class, suburban voters had propelled Premier Mike Harris into power in 1995. 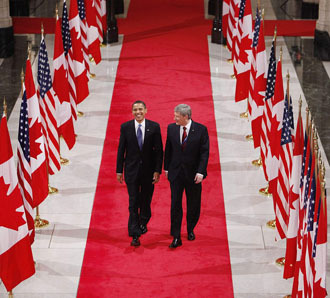 With Paul Martin’s Liberal government under siege from the sponsorship scandal, and the unified political right supporting him, Harper won the federal election on 23 January 2006, becoming the first westerner to be elected prime minister since Joe Clark in 1979. Although Harper fell short of a majority — with 36.3 per cent of the popular vote and 124 of 308 seats — his victory marked the end of 13 years of Liberal rule. After being sworn in as Canada’s 22nd prime minister on 6 February 2006, he immediately pared down the federal Cabinet from 33 to 27 ministers, with many of the most prominent being either Albertans or one-time provincial ministers from the former Ontario regime of Mike Harris. A strict adherent of laissez-faire capitalism and a smaller, decentralized federal government, Harper cut the Goods and Services Tax (GST) from seven to five per cent over two years shortly after taking office. This deprived the federal government of approximately $13 billion a year, but the Conservatives argued that individual Canadians were better served by keeping more money in their own pockets than by new government programs. In foreign policy, Harper took a staunchly pro-Israel position in the Middle East that included aggressive criticism of some of its most vociferous opponents. In 2006, Harper cut Canada’s aid to Palestine to protest the victory of Hamas, the elected and sometimes militantly anti-Israel representative of Palestine. Having argued in favour of participating in the US invasion of Iraq as opposition leader in 2003, Harper was a staunch advocate of Canada’s new, 2006 combat mission in Afghanistan. His first foreign visit as prime minister was to Afghanistan in March 2006, and he became the first sitting prime minister to visit the front lines of a combat operation when he went to Ma’sum Ghar, Afghanistan, in May 2007. His government also extended Canada’s combat role in Afghanistan from February 2009 to December 2011 to allow for more reconstruction and training of Afghan troops and police forces. Combatting crime and terrorism became watchwords of the Harper government, which toughened the Criminal Code — notably, by imposing higher and mandatory minimum sentences on various crimes — and increased funding for the federal prison system, nearly doubling it during his first five years in office. Harper established a reputation as a sound economic manager by running two balanced budgets and a small deficit his first three years in office. After the worldwide financial crisis in 2008 sparked a global recession, he called an early election, circumventing Parliament’s 2007 law that established fixed election dates. He argued that the severity of the crisis and the need for strong economic leadership justified that measure. In the ensuing campaign, his government was returned to power with more seats (143), but still a minority. In the wake of this victory, Harper tabled an economic update which, in keeping with his commitment to limit government spending, lacked any economic stimulus measures but included motions to suspend the right of federal civil servants to strike and to end public funding of political parties. It set off a firestorm in Parliament and drew ferocious opposition from the ​Liberals, NDP and Bloc Québécois, who announced plans to form a coalition to overturn the government. Harper avoided defeat by persuading the governor general to prorogue — adjourn — Parliament from 4 December 2008 to 26 January 2009. By the time Parliament resumed, the opposition coalition had unravelled amid public disapproval. The Conservative’s hold on power was secure. Harper’s government then delivered $45 billion in federal stimulus spending between 2009 and 2012. This resulted in the first federal deficits in a decade but assisted Canada in emerging from the financial crisis in better shape than most other Western countries. 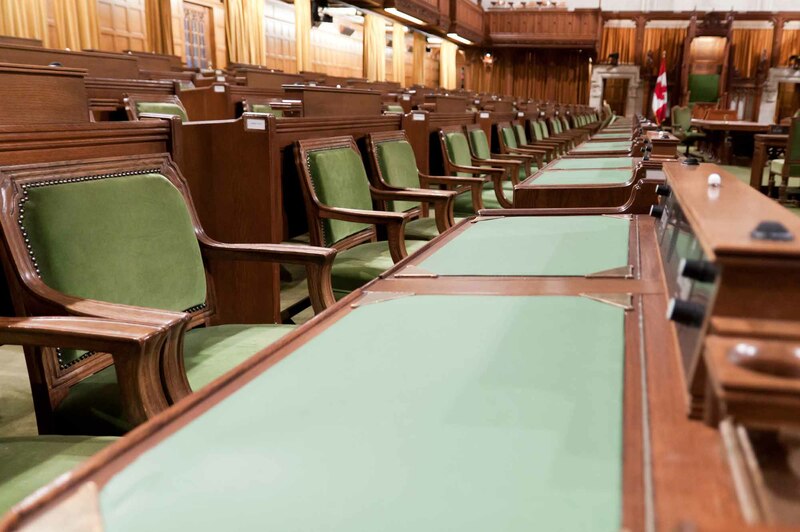 On 25 March 2011, ​MPs voted 156 to 145 to express non-confidence in the Harper government and cite it for contempt of Parliament for refusing to disclose information about the cost of its law-and-order agenda, corporate tax cuts and purchase of fighter jets. The contempt charge was the first levied against a federal government. But in the ensuing election on 2 May 2011, Harper and the Conservatives achieved a majority government, winning 39.6 per cent of the vote and 166 of 308 seats. The Harper government continued its support of Israel by suspending diplomatic relations with Iran in September 2012 and officially recognizing it as a state sponsor of terrorism. In November 2012, Canada was one of only nine countries to vote against a United Nations resolution giving Palestine “symbolic” statehood. In other foreign policy affairs, Harper was a vocal critic of Russia’s aggression towards Ukraine and committed Canada to a limited air role in military efforts against the Islamic State terrorist group. On crime and security, Harper’s government vigorously opposed the return of convicted child-terrorist Omar Khadr to Canada from the US prison in Guantamano Bay, and, following the shootings at Parliament Hill by an Islamic State supporter on 22 October 2014, gave new surveillance and detention powers to police and intelligence agencies under Bill C-51. Harper also used his majority mandate to further shrink government reach and expenditure by eliminating the long-form census and federal allowances to registered political parties. 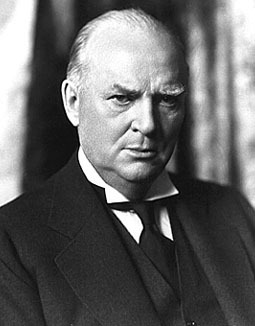 His government also abolished the long gun registry, sold the Canadian Wheat Board and reduced MPs’ pensions, including his own. After calling a long, 11-week election campaign, Harper immediately issued several tax breaks and sought to focus attention on his economic record and experience in government. But the early weeks of the campaign were filled with news from the ongoing fraud trial of Senator Mike Duffy, focusing on whether Harper knew of a $90,172 cheque written by his chief of staff Nigel Wright to cover Duffy’s falsely-claimed expenses (see Mike Duffy Case). Harper’s vow to oppose a woman’s right to wear a niqab in a citizenship ceremony became a major election issue and ate away at support for the front-runner NDP in the vital battleground of Québec, but also drew criticism that Harper was appealing to identity politics to win votes. Unable to overcome a growing national sentiment for change, Harper was defeated by charismatic Liberal leader Justin Trudeau, whose party won a majority government of 184 seats on 19 October 2015. The Conservatives won 99 seats, becoming the Official Opposition, and Harper resigned as the first and only leader of the party he had largely formed. On economic issues, Harper and then-finance minister Jim Flaherty won wide praise for their actions to help Canada through the global recession that began in 2008. He also expanded free trade with a variety of new partners, including an agreement with South Korea, and draft trade deals with the European Union and the Pacific Rim. Domestically, he was a staunch advocate of Canada’s Arctic sovereignty and the linchpin in the re-emergence of a strong, viable conservative party. Harper’s preferred form of assistance to Canadians was offered in the form of targeted tax cuts rather than the creation of new programs. Canada in 2015 faced its lowest federal tax burden in 50 years. Corporate taxes fell from 2.6 per cent of gross domestic product (GDP) to 2 per cent from 2006 to 2015; income taxes were trimmed from 7.4 per cent of GDP to 6.9 per cent. Harper avoided the constitutional quagmire that had ensnared several of his predecessors and instead took a more conciliatory approach to issues of national unity. He officially apologized to Chinese Canadians for Canada’s head tax and the subsequent exclusion of Chinese immigrants between 1885 and 1923. He also officially recognized the Québécois as a “nation” within Canada and offered an emotional apology to Indigenous people for the federal government’s role in residential schools. Canada’s resource-based economy recovered following the 2008 crisis, but suffered again in late 2014 and 2015 due to a worldwide decline in oil and commodity prices, resulting in job losses in the West, particularly Alberta, and a severe drop in the Canadian dollar. This led to criticism that Harper’s focus on resource extraction had put all of Canada’s eggs in one basket. He was also criticized for an anemic effort to address climate change and for failing to meet prior targets to lower greenhouse gas emissions, most notably by withdrawing Canada from the Kyoto Protocol. Harper was accused throughout his tenure of compiling various, often unrelated legislation in sweeping omnibus bills, of centralizing control in the Prime Minister’s Office to an unprecedented degree, and of lacking transparency and accountability. His second prorogation of Parliament in 2009, for example, was widely perceived as an attempt to avoid an inquiry into Canada’s role in the treatment of Afghan detainees (see also: The Detainee Papers Ruling; Showdown in the House: Afghanistan Detainee Documents). Many Indigenous groups were critical of the Harper government for cutting funding to a number of Indigenous organizations and programs, and for refusing to release records related to residential schools to the Truth and Reconciliation Commission. Anger over the Jobs and Growth Act of 2012 also directly inspired the Idle No More movement. Several of the tough-on-crime laws Harper’s government proposed were dismissed by the Supreme Court as contrary to the Charter of Rights. And many critics questioned the effectiveness of devoting record-high resources to fighting crime and building prisons in the face of a falling national crime rate. The day before the convention, the Globe and Mail reported that Harper would resign as MP before the beginning of Parliament’s fall session. He officially resigned on 26 August 2016, making the announcement in a video clip posted to his social media accounts. Following his retirement from politics, Harper launched the Calgary-based consultancy firm Harper & Associates Consulting Inc., in partnership with his former chief of staff Ray Novak, long-time aide Jeremy Hunt, and former PMO policy director Rachel Curran. Harper had officially incorporated the firm in December 2015. In September 2016, Harper accepted a “strategic affiliation” with the international law firm Dentons. Working out of Dentons’ Calgary office, his role would be to “provide advice to clients on market access, managing global geopolitical and economic risk, and how to maximize value in global markets.” Harper also signed with Worldwide Speakers Group to become a high-profile public speaker, and accepted positions on the board of directors of real estate company Colliers International and the Conservative Fund, the fundraising arm of the Conservative Party of Canada. In April 2017, Harper took a position as an advisor with the Silicon Valley tech fund 8VC, which invests in health care, financial and transportation companies. In February 2018, he was unanimously elected chairman of the International Democrat Union, a group of centre-right party leaders from around the world that was co-founded by George H.W. Bush and Margaret Thatcher, among others. Tom Flanagan, Harper's Team: Behind the Scenes in the Conservative Rise to Power (McGill-Queen’s University Press, 2007). Tom Flanagan, Waiting for the Wave: The Reform Party and the Conservative Movement (McGill-Queen’s University Press, 2009). Michael Harris, Part of One: Stephen Harper and Canada’s Radical Makeover (Viking, 2014). John Ibbitson, Stephen Harper (Signal, 2015). Lawrence Martin, Harperland: The Politics of Control (Viking, 2010). Paul Wells, Right Side Up: The Fall of Paul Martin and the Rise of Stephen Harper’s New Conservatism (Douglas Gibson Books, 2007). Paul Wells, The Longer I’m Prime Minister: Stephen Harper and Canada, 2006– (Random House Canada, 2013). Conservative Party of CanadaThe official website for the Conservative Party of Canada. 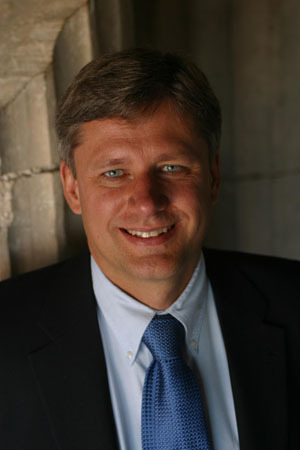 Member of Parliament ProfileOfficial parliamentary profile of Prime Minister Stephen Harper.